Synopsis: The M Town seems to be embarking with one film or the other and the Ipitar is one of them, which is directed by Datta Tarde, while it is produced by Nitin Kalhapure and Kiran Berad under the banner Venkatesh Entertainment. 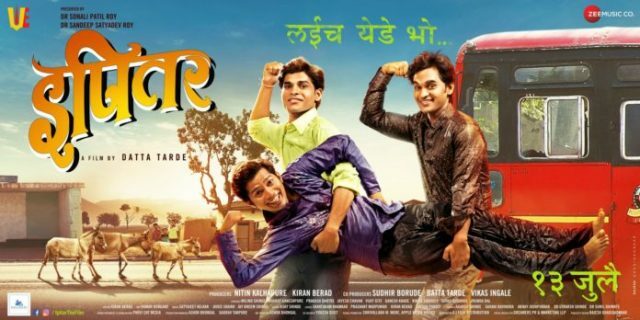 It is written by Kiran Berad, while the music of the film is done by Satyajeet Kelkar Javed Shaikh and Jay Bheem Shinde and the Cinematography (DOP) is carried out by Kumar Dongare whereas the playback singers of the film include Adarsh Shinde, Savani Ravindra, Abhay Jodhpurkar, Dr. Utkarsh Shinde and Dr. Sunil Dhimate and the lyrics have been carried out by Shantaram Khamkar, Prashant Madpuwar, Kiran Berad and Sachin Pandit. The film has an interesting starcast, which include actors like Milind Shinde, Bharat Ganeshpure, Prakash Dhotre, Jayesh Chavan, Vijay Gite, Ganesh Khade. Nikita Sukhdev, Suhas Dudhade and Vrunda Bal in the lead and supporting roles. 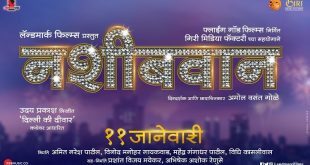 The Music was carried out by Satyajeet Kelkar Javed Shaikh and Jay Bheem Shinde whereas the Sound Record and Sound Design was carried out by Parvi Entertainment Media and Cinematography (DOP) was carried out by Kumar Dongare. Well, now talking about the plot of the film, its a hilarious tale of three mischievous college students who are often seen getting into trouble by the villagers and are often underestimated by their parents. But, soon they are being chased for their mischief by the police, local goons, and villagers, so, what really goes after that is interesting to catch. The film finally releases on 13th July 2018 and it happens to be a solo release. The makers have released the trailer and the poster to keep the buzz for the film in the media and it enjoys some amount of buzz in the media, let’s see how things would move.